There was a bit of an odd bottleneck with Sonic‘s PC releases for a while there – multiple pieces of Sonic content have been part of the Steam registry for weeks, and even Sega didn’t really seem to know what the hold up was. That’s finally changed, as the floodgates have opened: PC versions of Sonic CD, Sonic 4: Episode 1, and Sonic Generations’ Casino Night Zone DLC have all gone up for purchase today. For the most part, prices match the going rates on consoles: Sonic CD for $5, Sonic 4 for $10, and Casino Night for $1.60. But the Sonic celebration doesn’t stop there; in addition to these four pieces of content being added to Steam today, Sonic Generations is also on sale for 50% of for the duration of the weekend – the game’s only $15 until Monday, January 23rd. In addition to that, those who purchase Sonic CD will receive a special costumes in Spiral Knights, Sega’s free-to-play PC MMO. 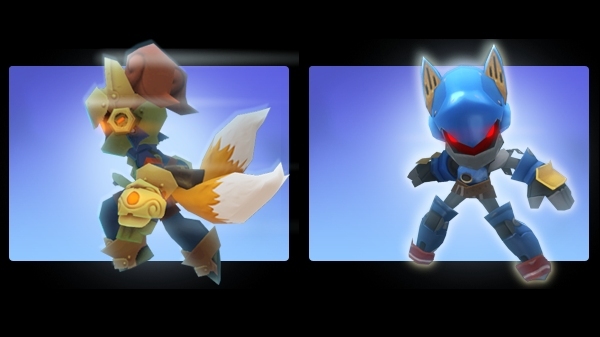 These costumes allow the player to take on a decidedly Metal Sonic-esque appearance, or run around with Tails’… er, well, tails. Given the litany of today’s releases and the potentially impending release of Sonic 4: Episode 2, the real question is whether or not anything in the PC version of Episode 1 is any different. Rest assured, if anything significant is discovered, we’ll keep you posted. UPDATE: Steam’s got a page up for the Sonic weekend sale now, looks like it covers more than just Sonic Generations. Concept art for new Kid Icarus game leaked?